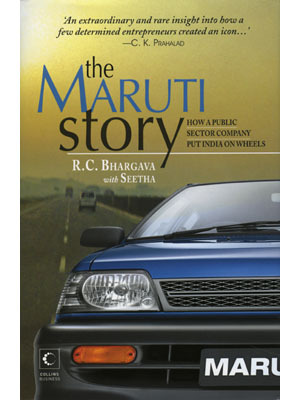 Even from the outside, the story behind India’s “people’s car” is a fascinating one. This book is a first-person account by R.C. Bhargava of his stint at Maruti, where he was actively involved from the inception of the idea until his retirement as chairman of the board in 1997. Bhargava also spends many pages clearing his own name: His integrity was under the scanner by the Central Bureau of Investigation (CBI) in 1995-96. (This was extensively reported at that time, and eventually he was cleared.) His perspective on the fine balance needed to run a PSU and avoid conflicts of interest, and his insider view of significant incidents in the company’s history, make for a very satisfying read for anyone interested in the auto industry. For a layperson, though, the excessive detailing could get in the way of the narrative.